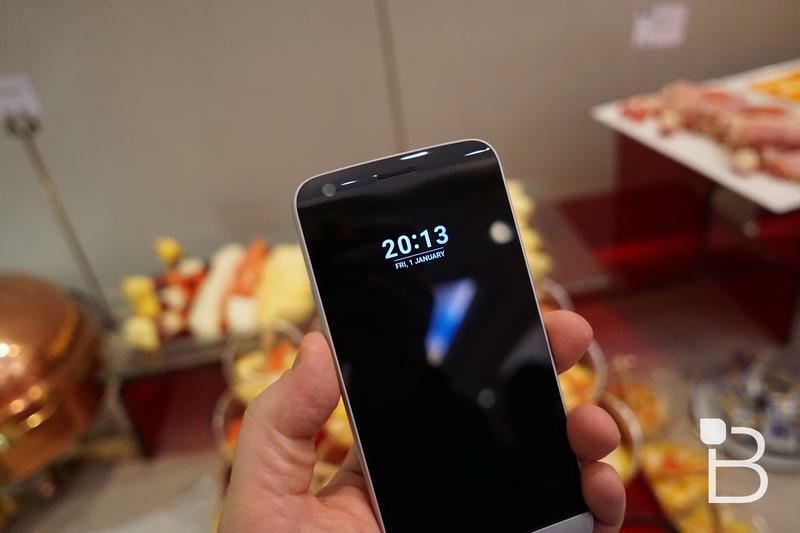 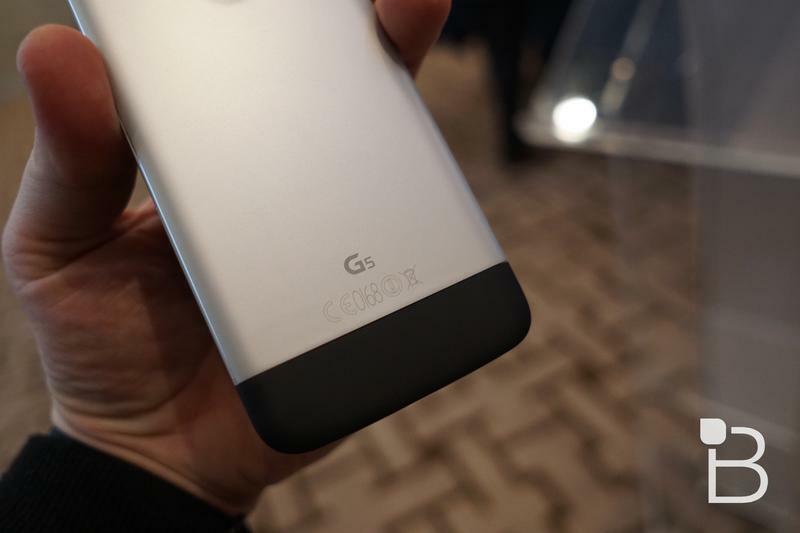 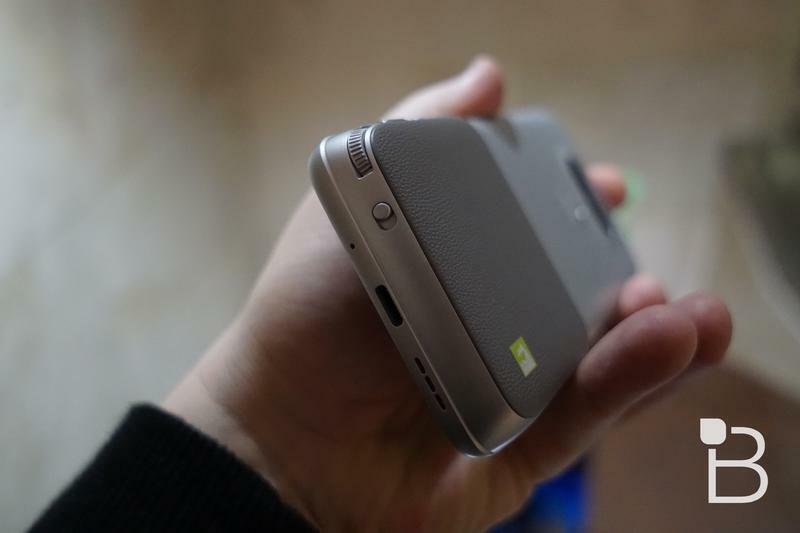 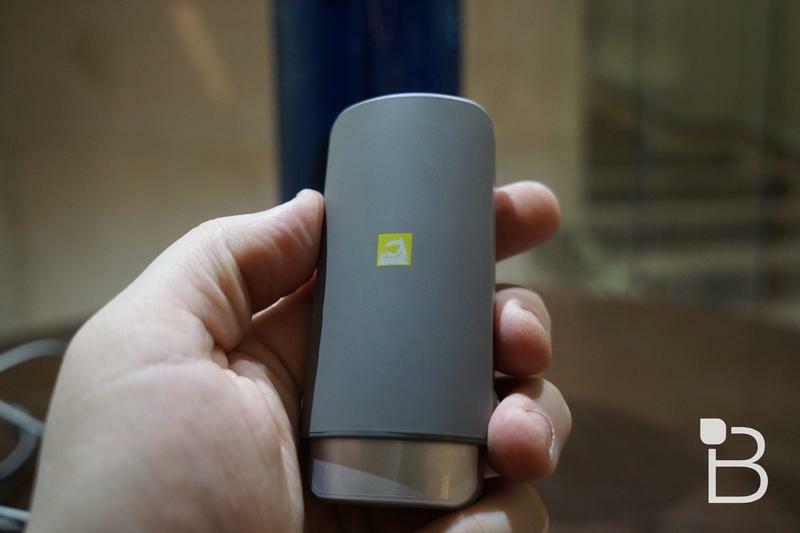 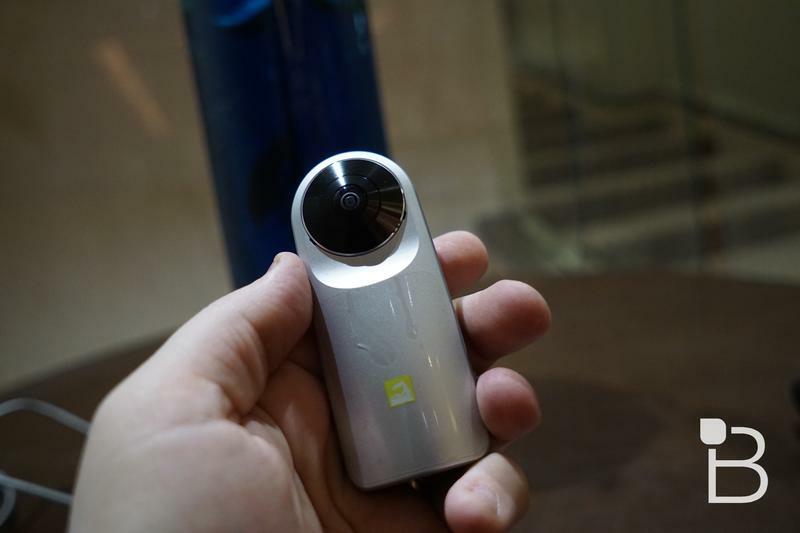 LG introduced the G5 on Sunday during its Mobile World Congress press conference in Barcelona. 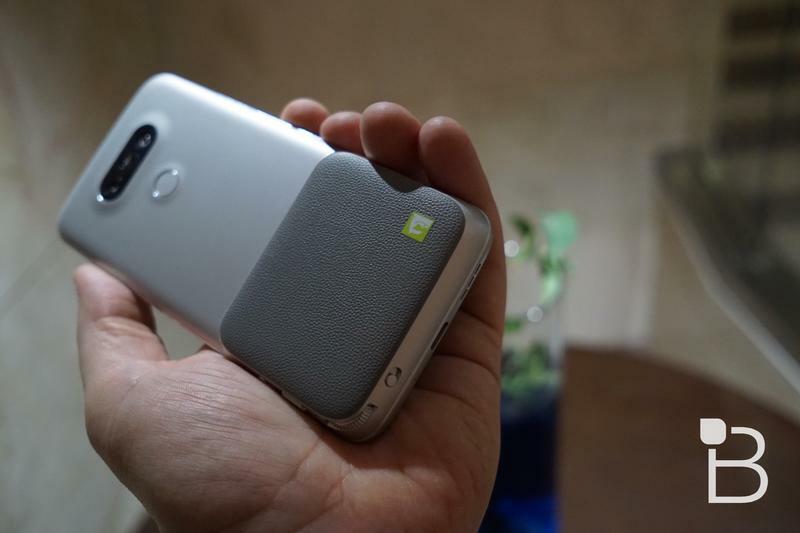 It’s a heck of a phone. 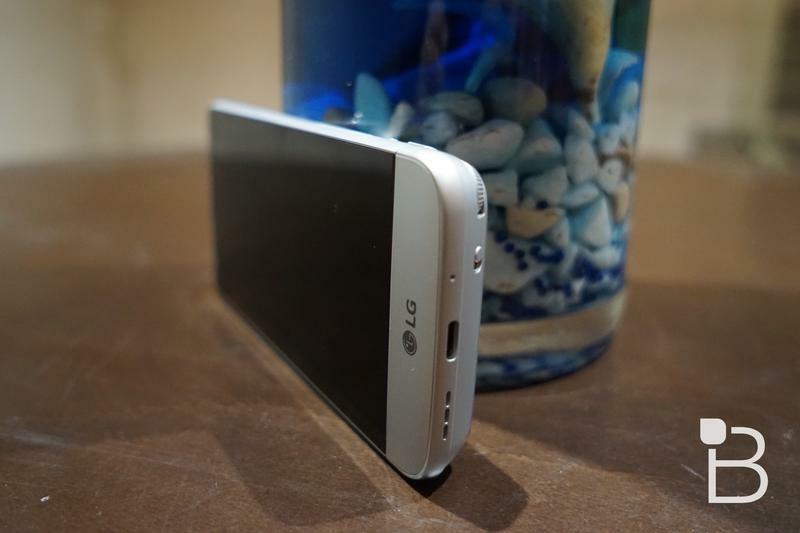 One of the unique features is the ability to swap out the lower quadrant to upgrade parts of the phone. 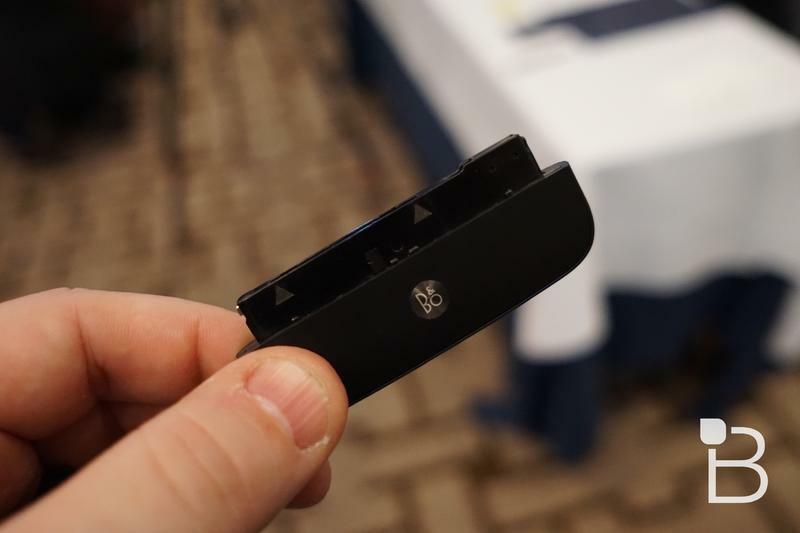 You might add a camera module, for example, that gives extra controls. 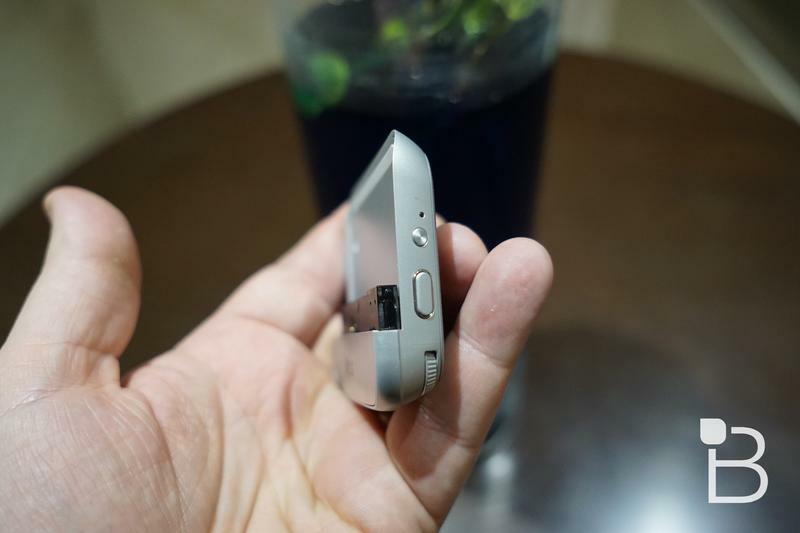 Or maybe an audio module to upgrade your music. 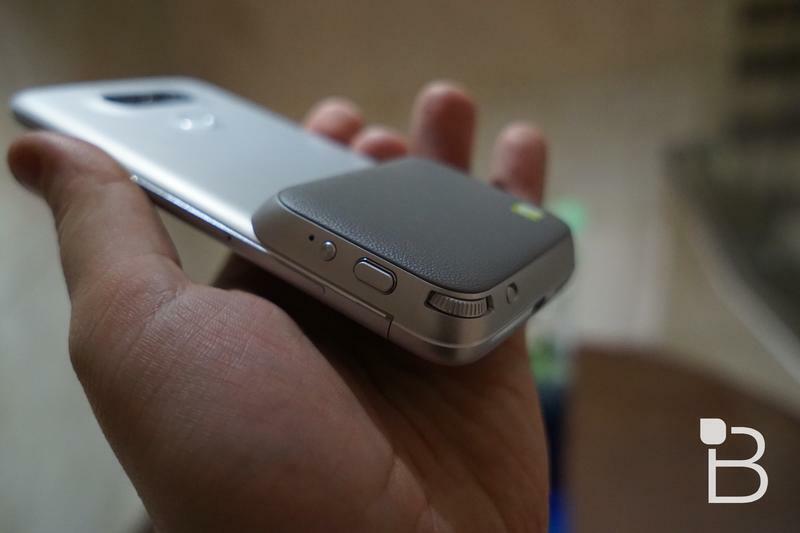 LG calls these “Friends” and says the accessories will work right out of the box with your G5, no complicated setup necessary. 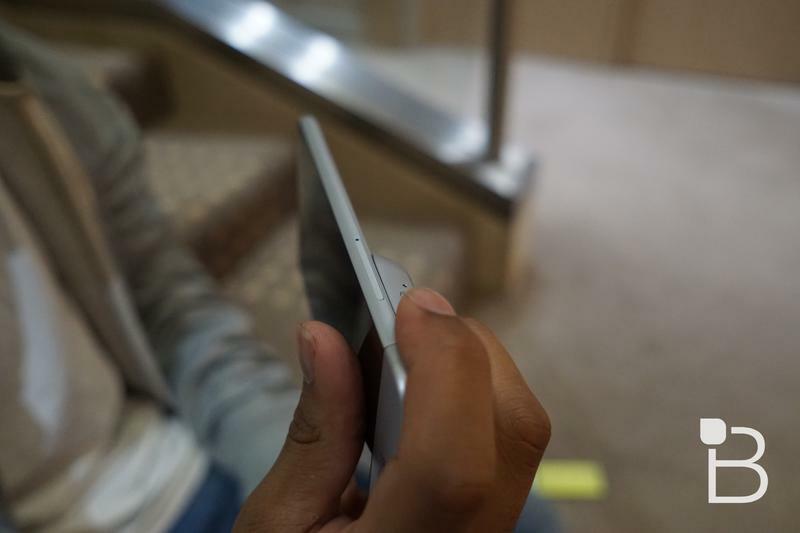 Some of them swap out with the battery at the bottom while others, like the VR headset or 360 degree camera, don’t. 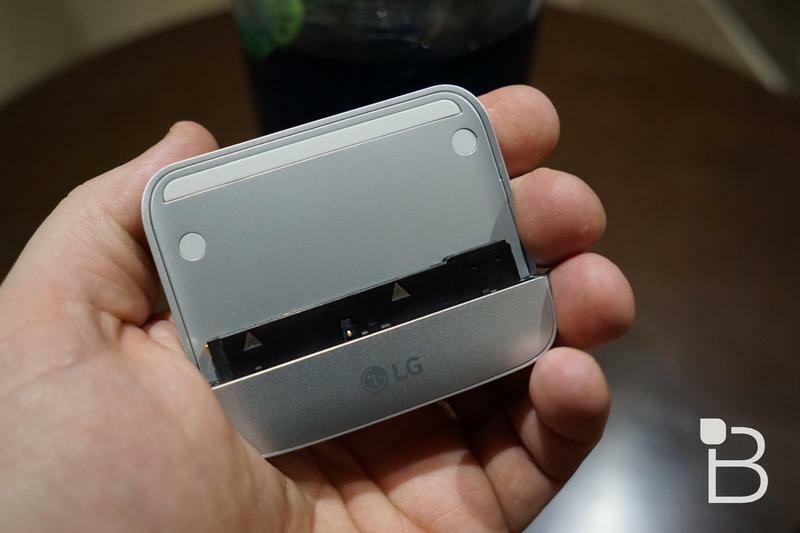 Here’s a look at some of LG’s new products. 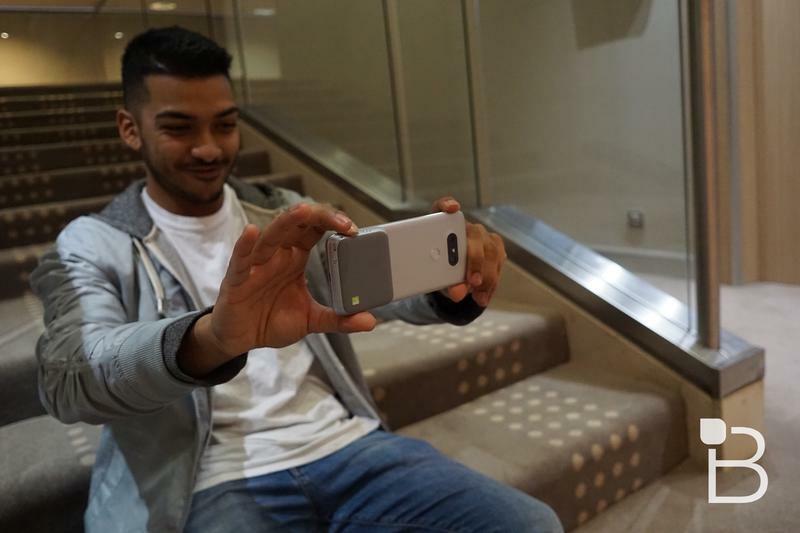 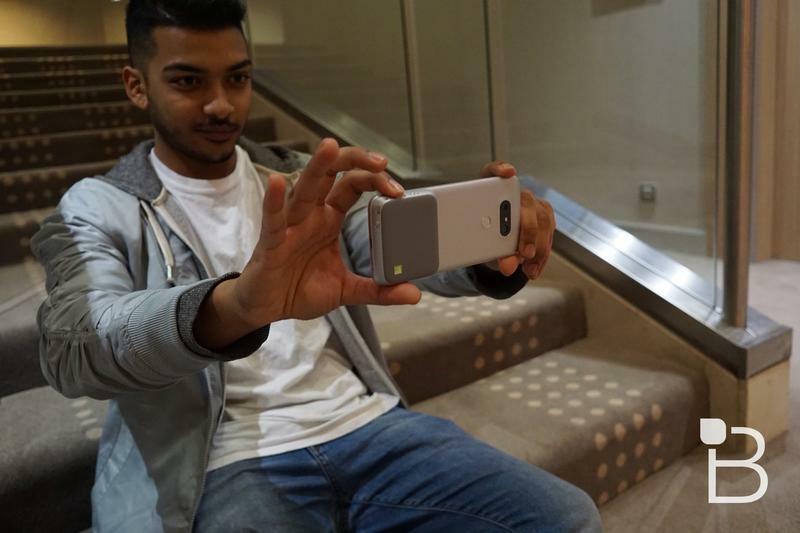 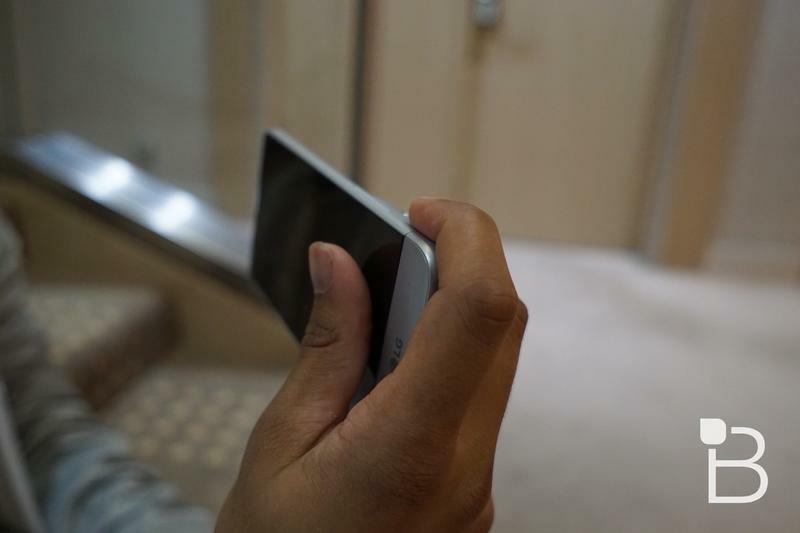 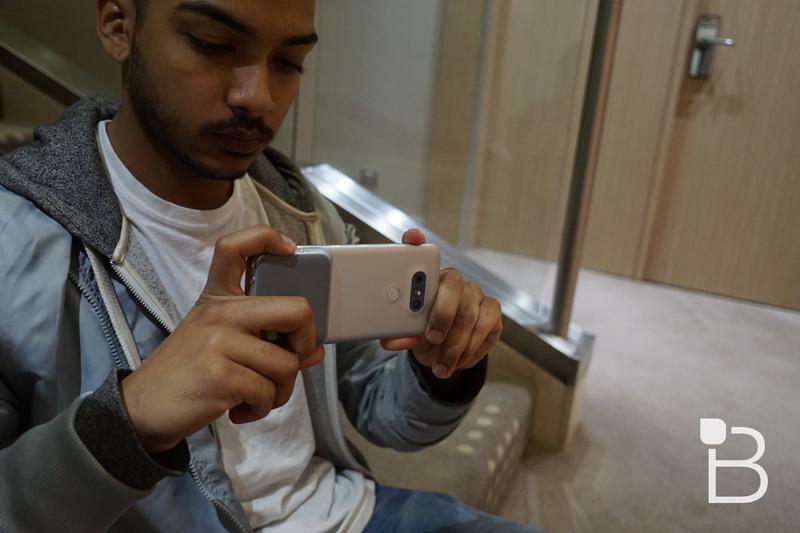 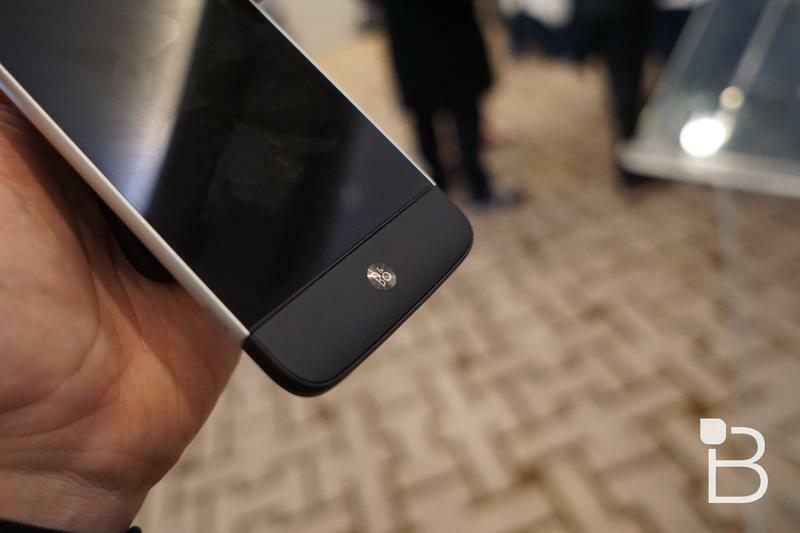 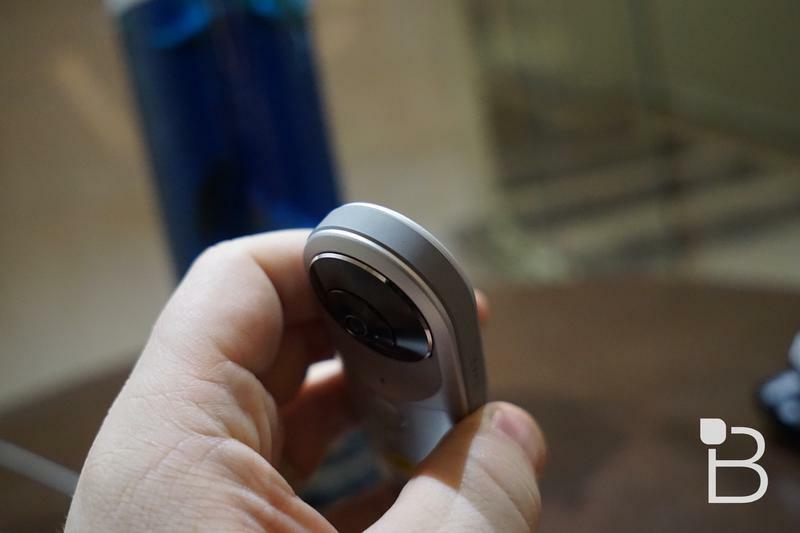 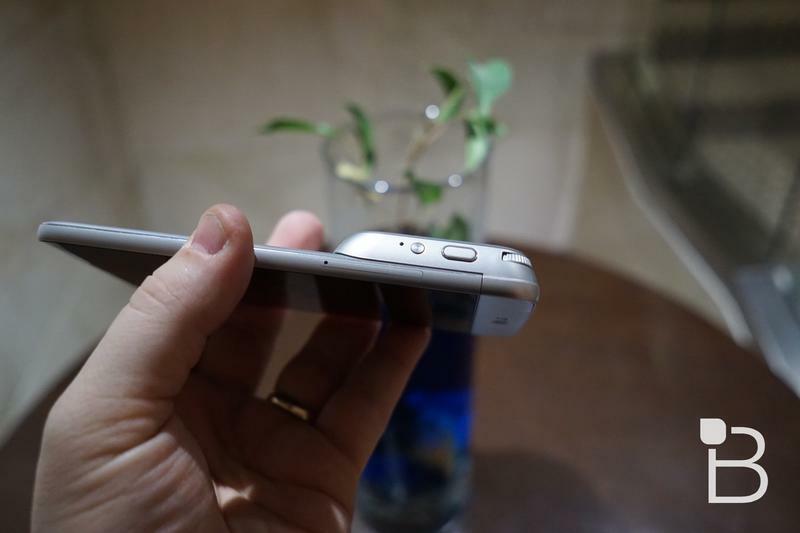 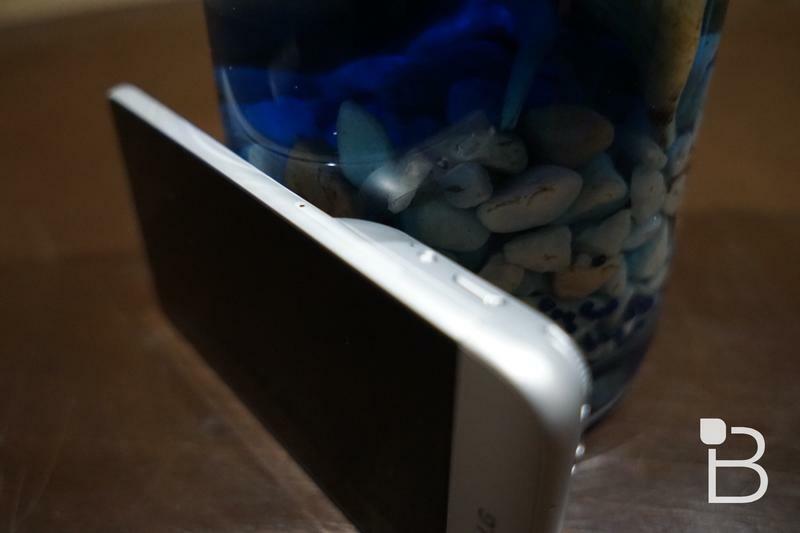 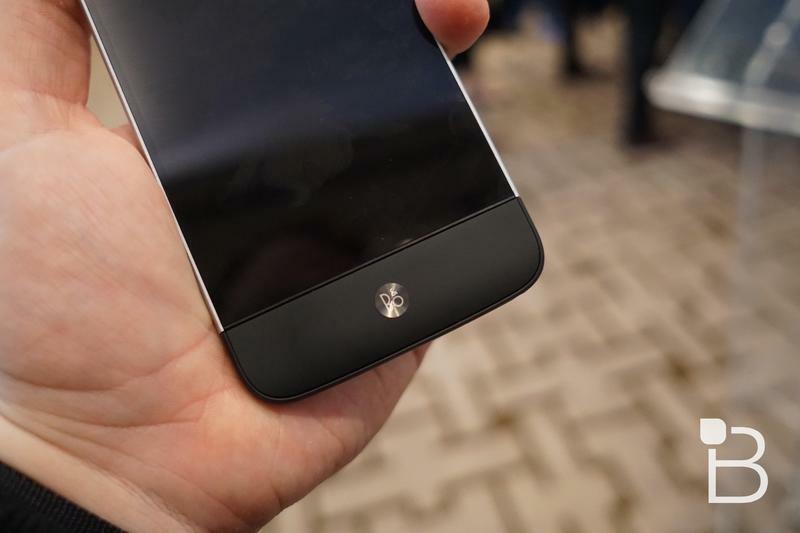 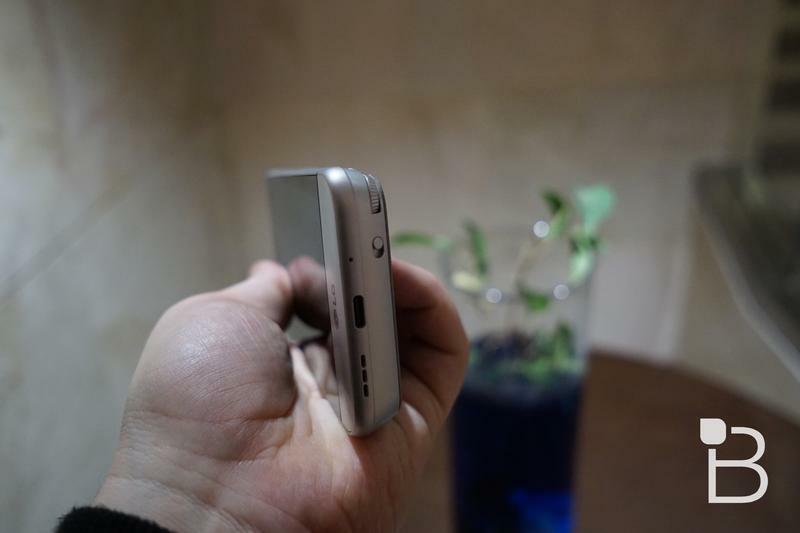 The LG CAM Plus is basically a camera grip that slides into the bottom of your phone. 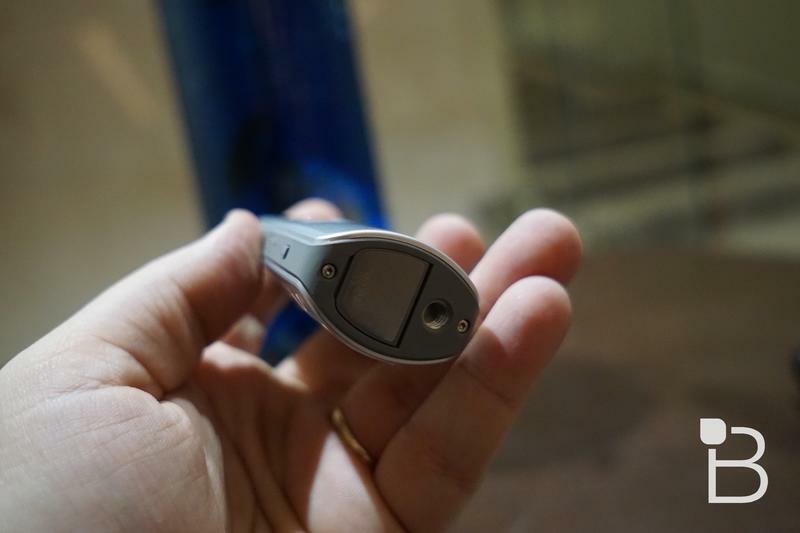 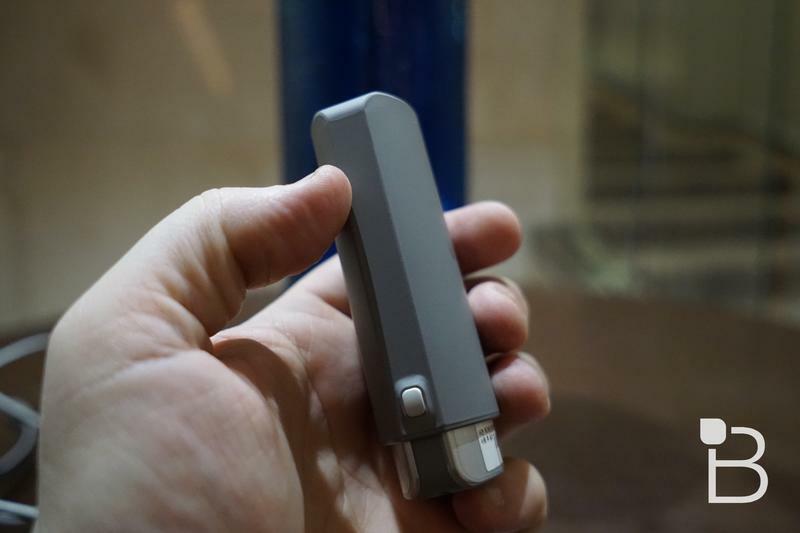 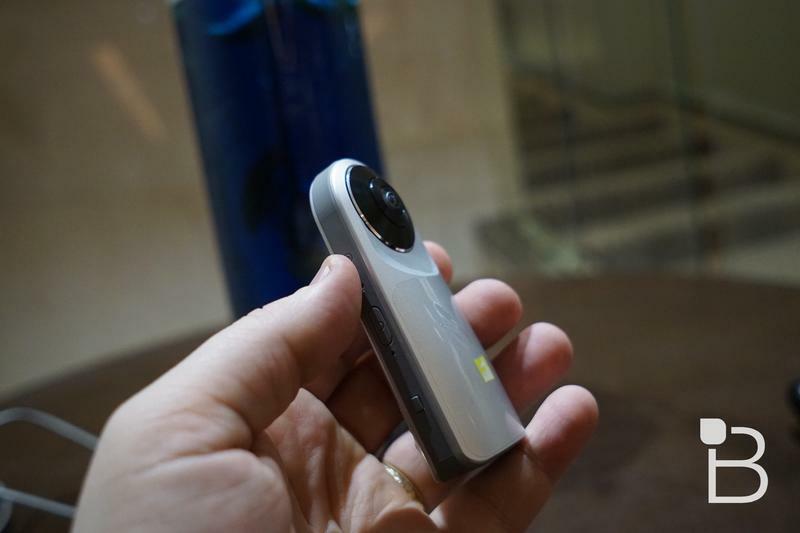 It packs its own battery, giving you up to 4,000mAh of juice to play with, a hand grip, an auto-focus button with half-shutter and analog zoom controls. 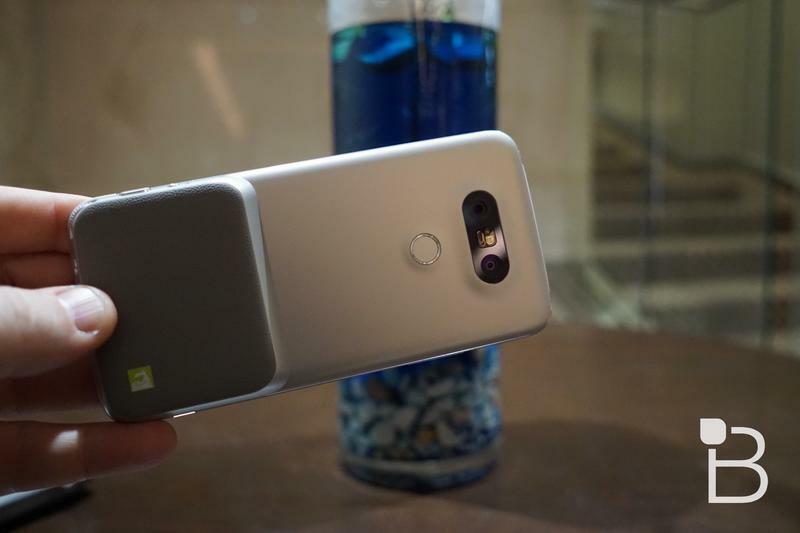 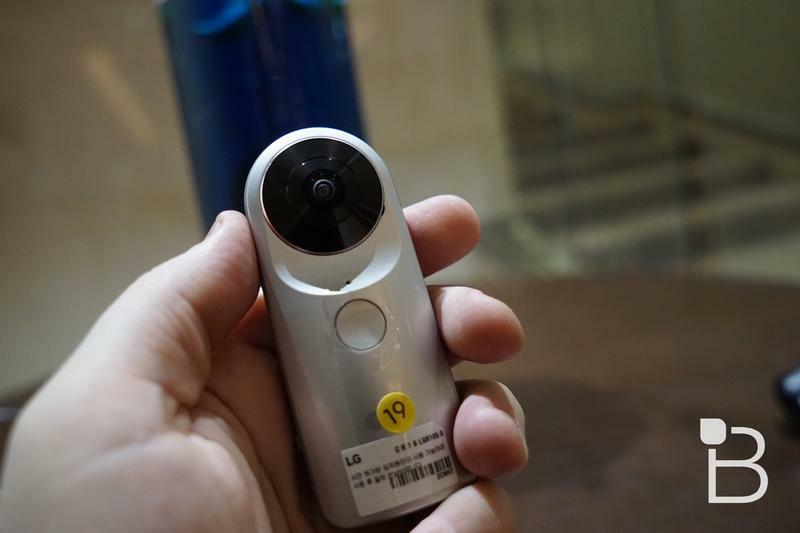 The LG CAM Plus basically turns your new G5 into a point and shoot. 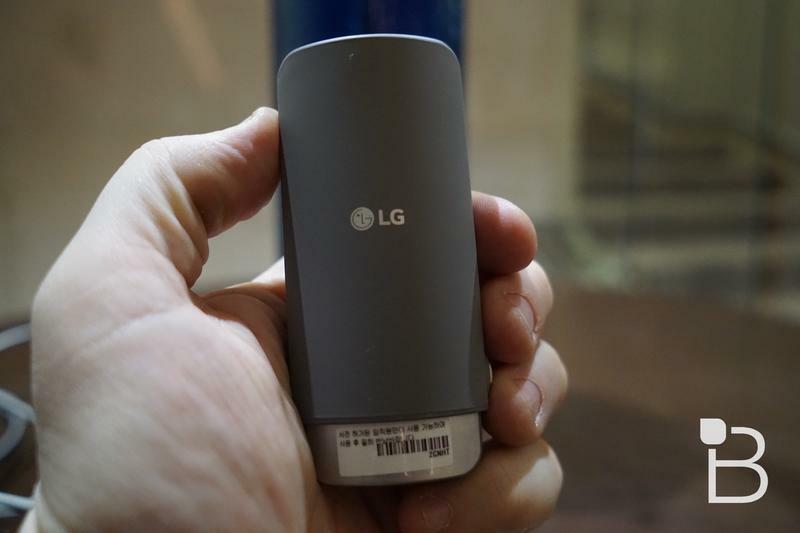 The LG HiFi Plus will upgrade your music experience. 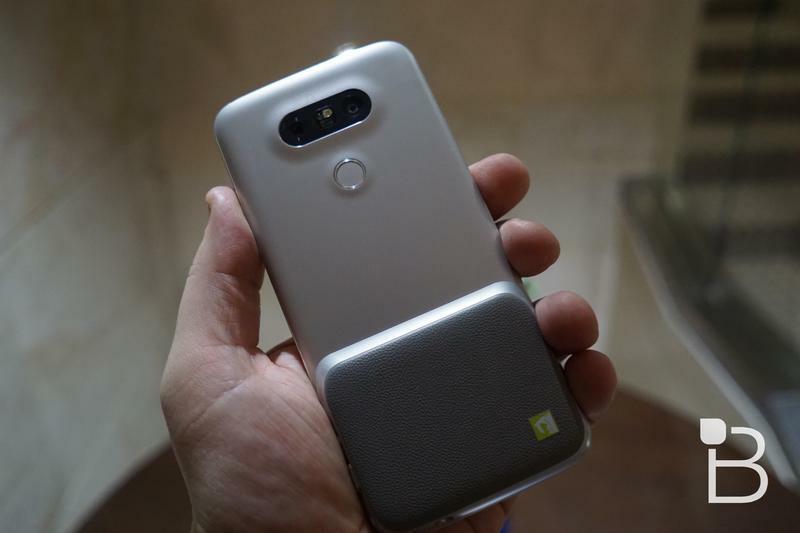 While we expect the LG G5 to sound great with headphones out of the box, the HiFi Plus is an attachable DAC amp that supports 32bit sound sources and native DSD playback. 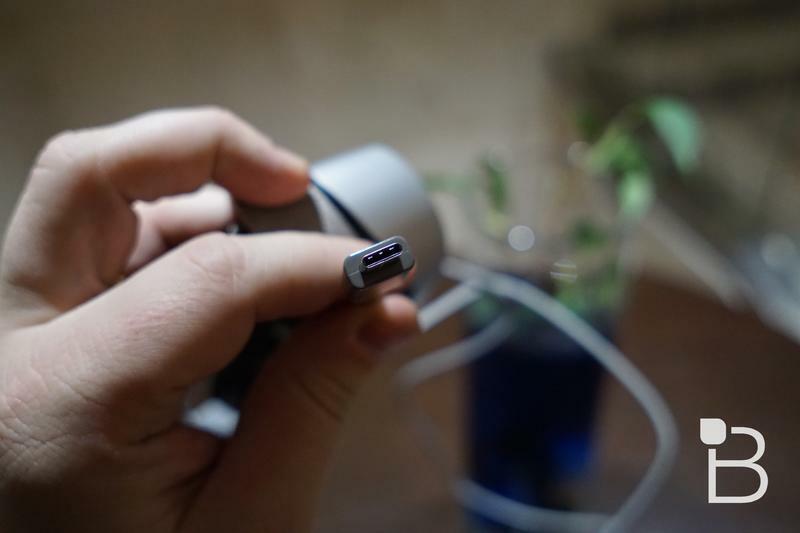 The accessory technically works with Mac, Android and Windows devices and should upgrade all music sources, even streaming options like Spotify or Google Play Music. 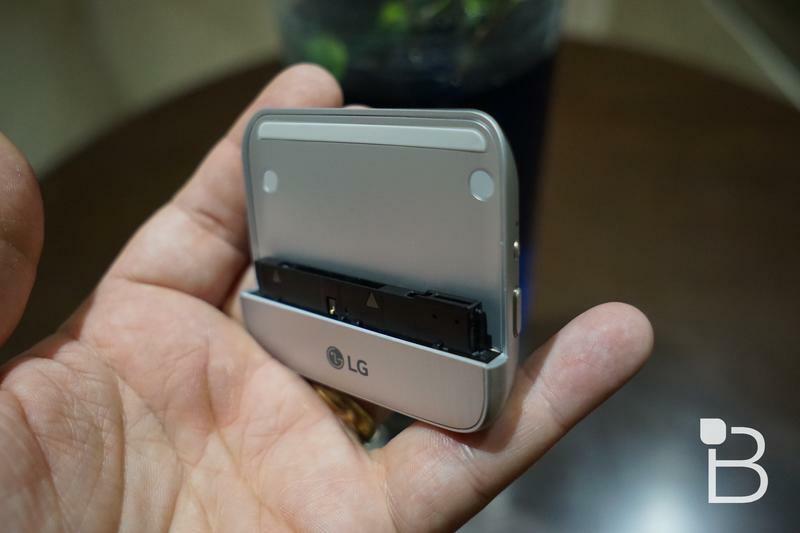 Again, it easily swaps in with the battery module at the bottom of the LG G5.. 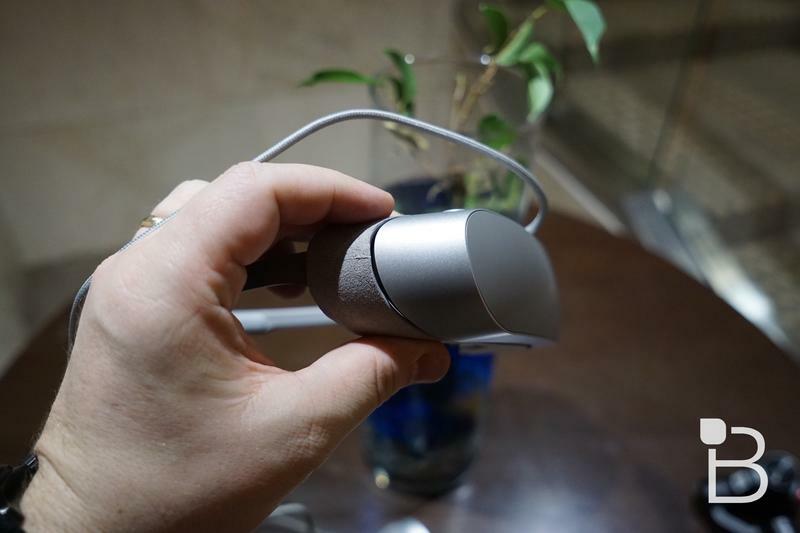 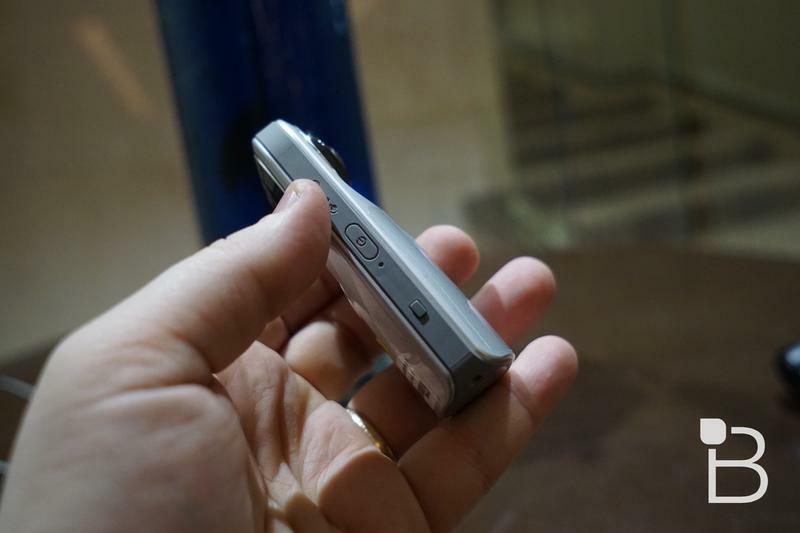 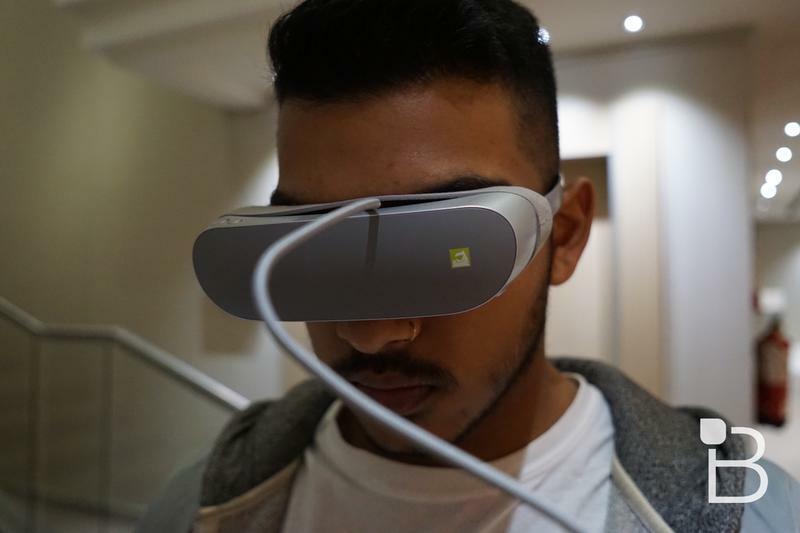 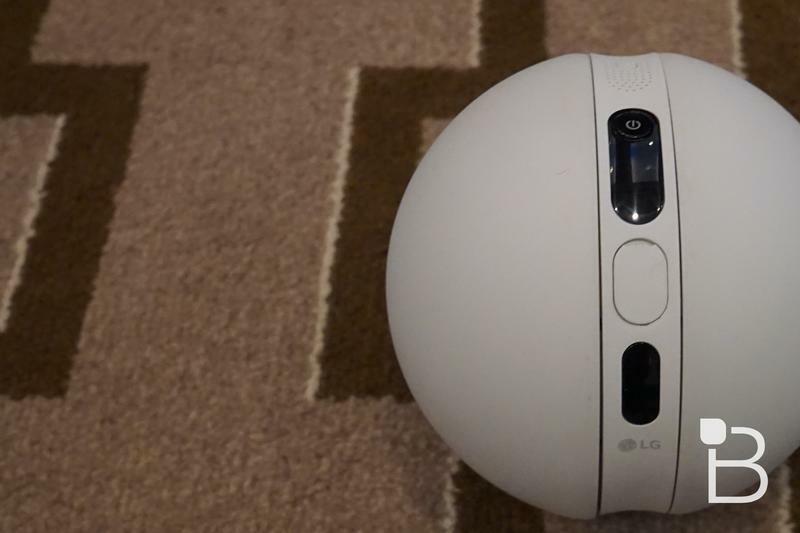 The LG 360 VR uses the G5’s USB-C port to connect to your smartphone. 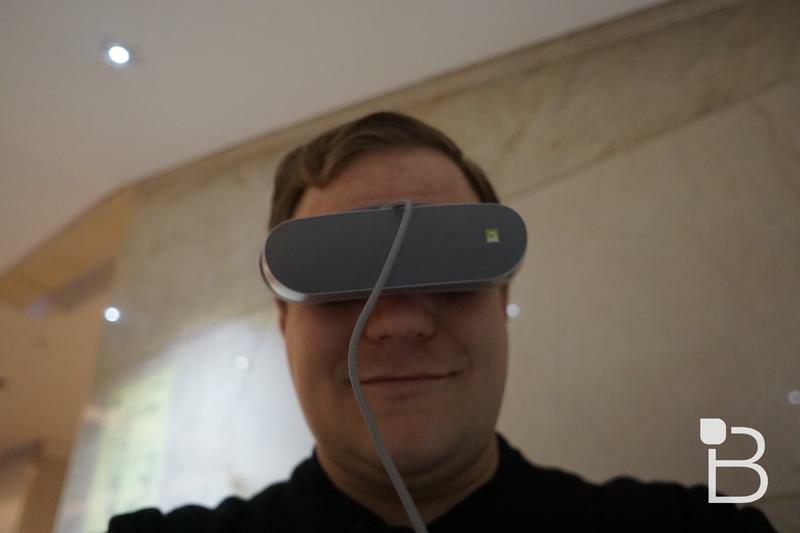 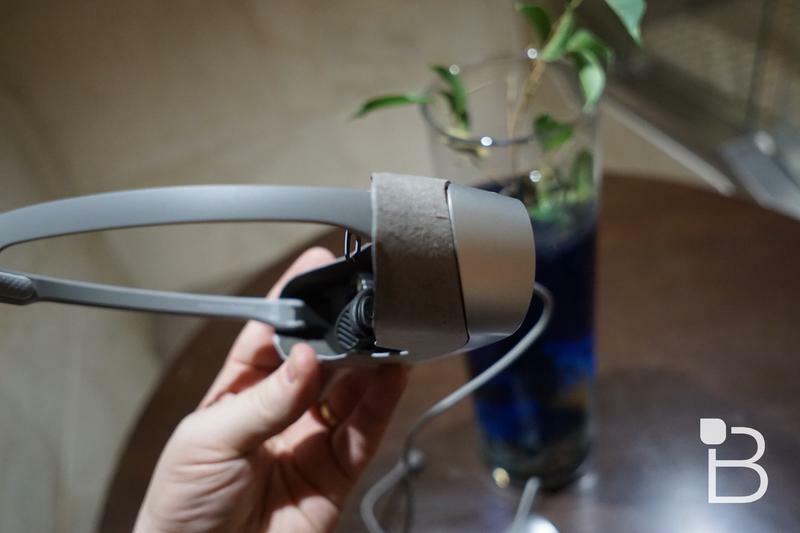 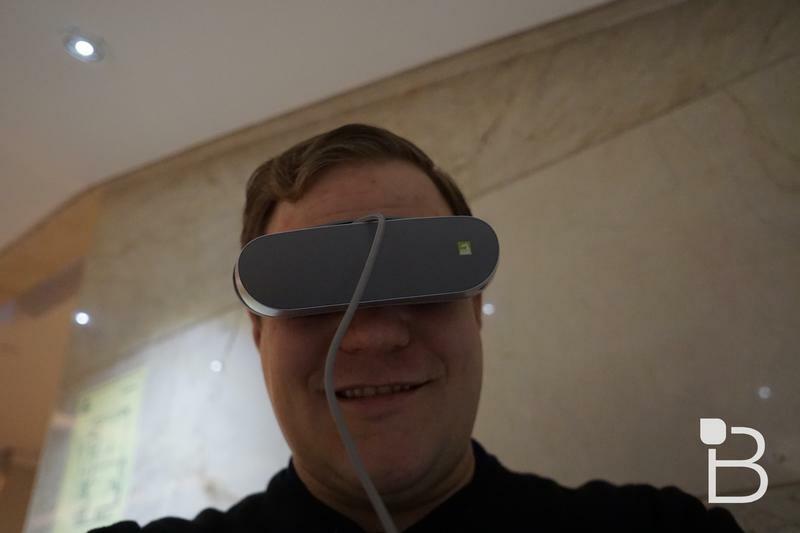 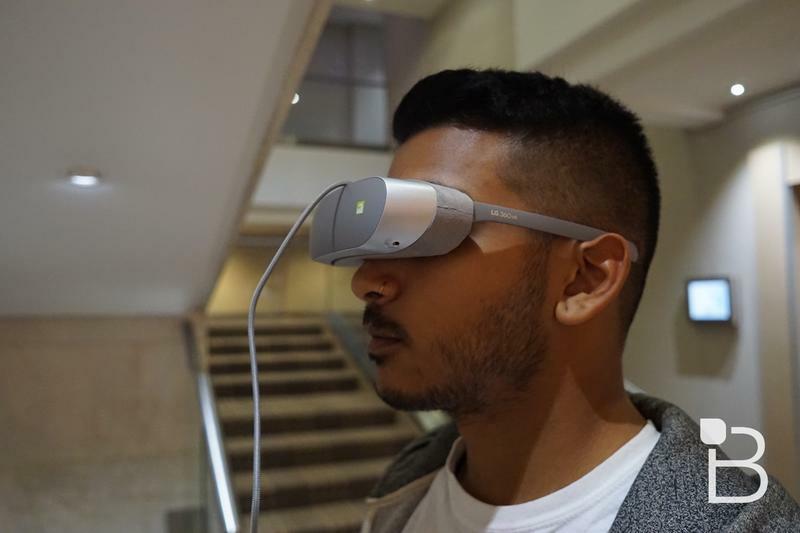 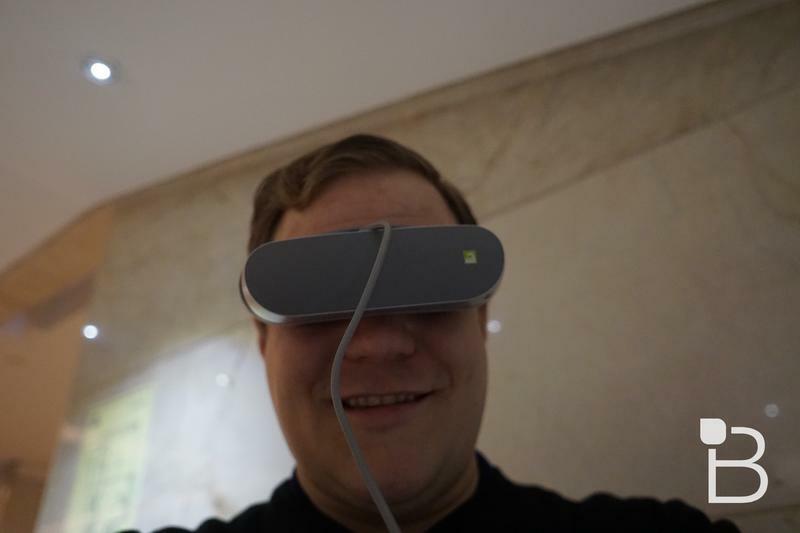 LG said it created this headset to be portable and less nerdy looking, though we’re not quite so sure it achieved either goal. 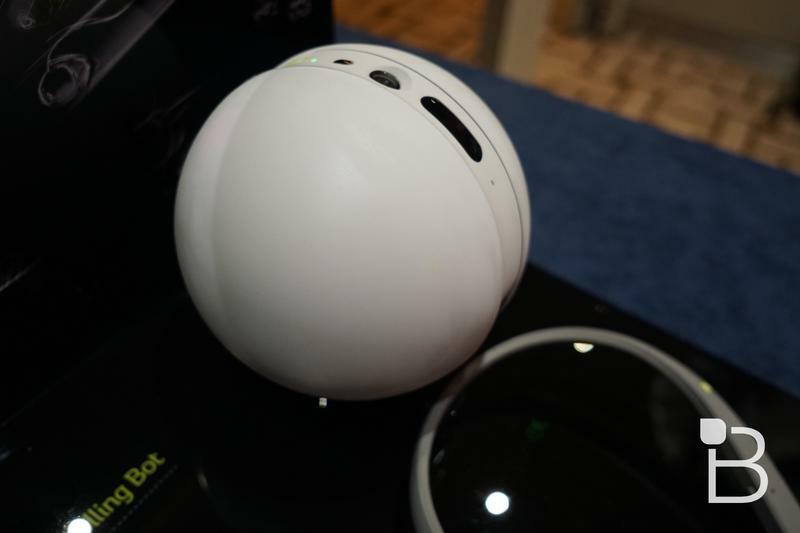 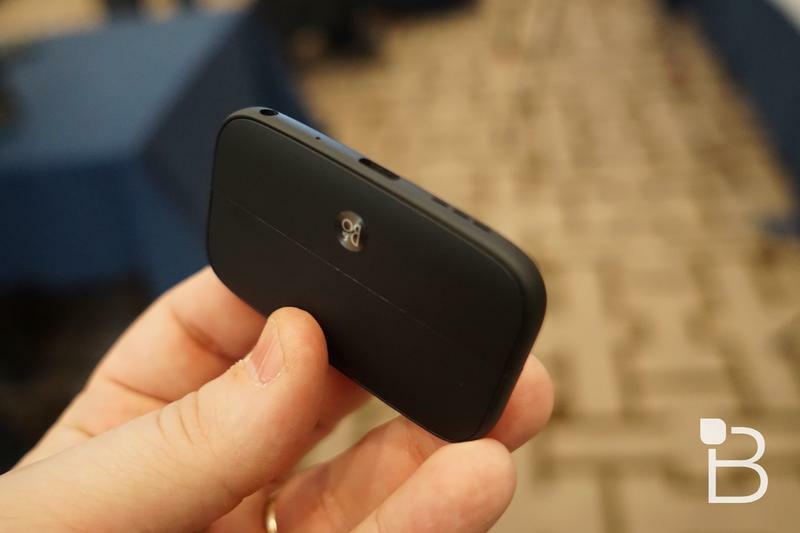 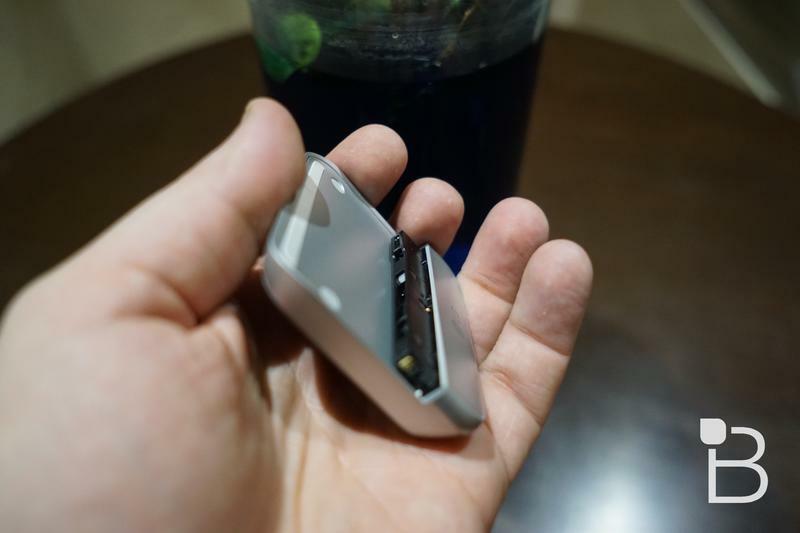 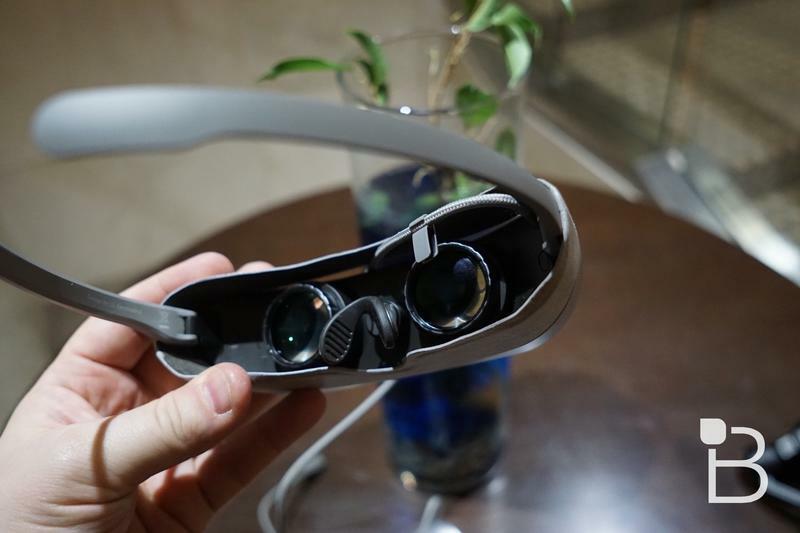 Still, it provides two 1.88-inch 960 x 720-pixel displays, support for YouTube 360 and Google Cardboard applications and will support games and other apps, too. 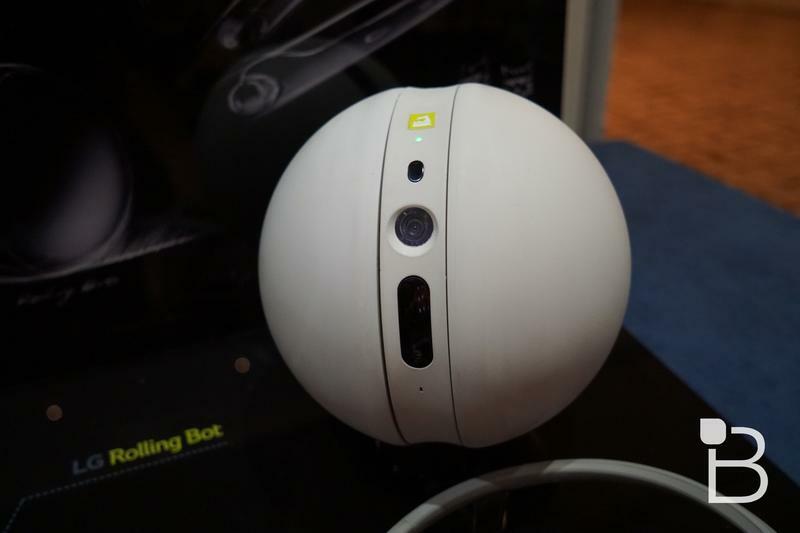 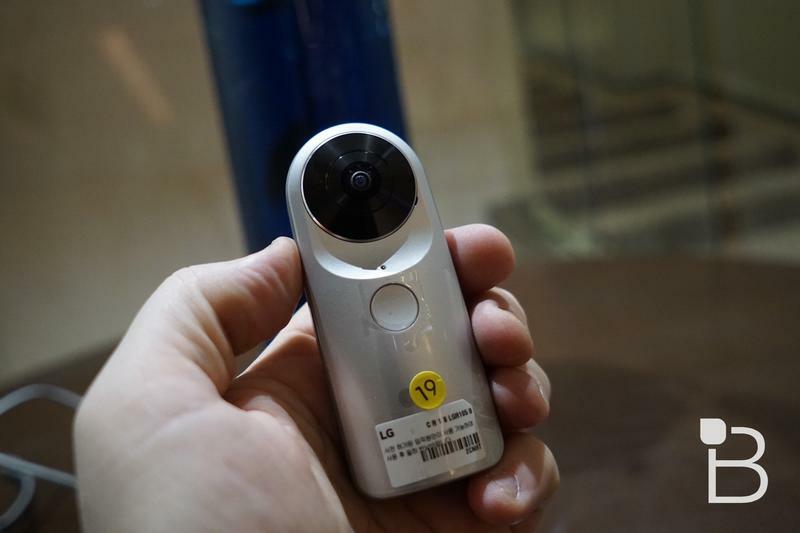 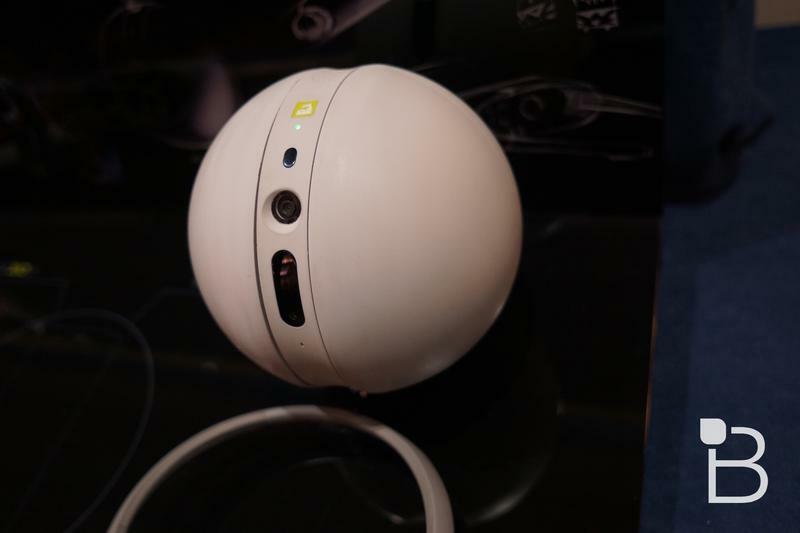 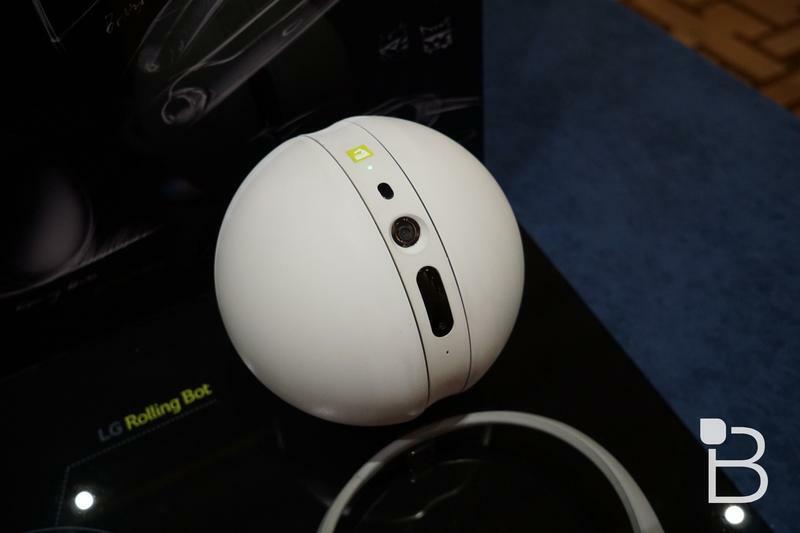 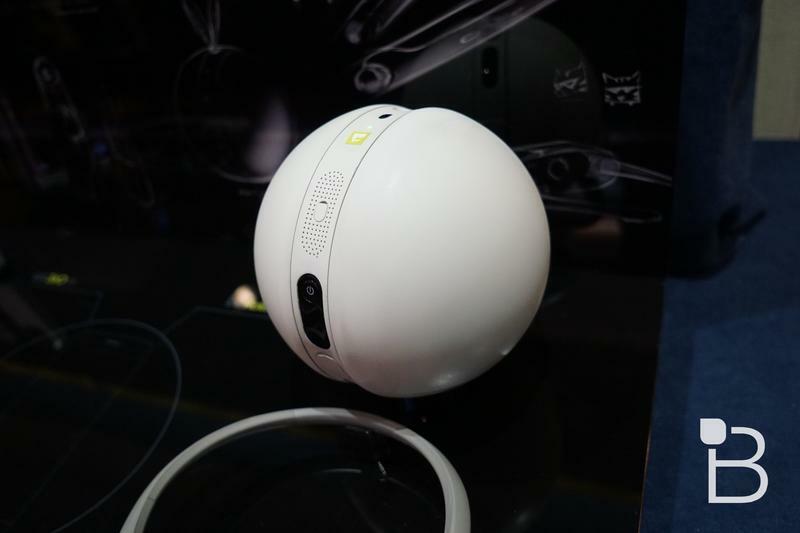 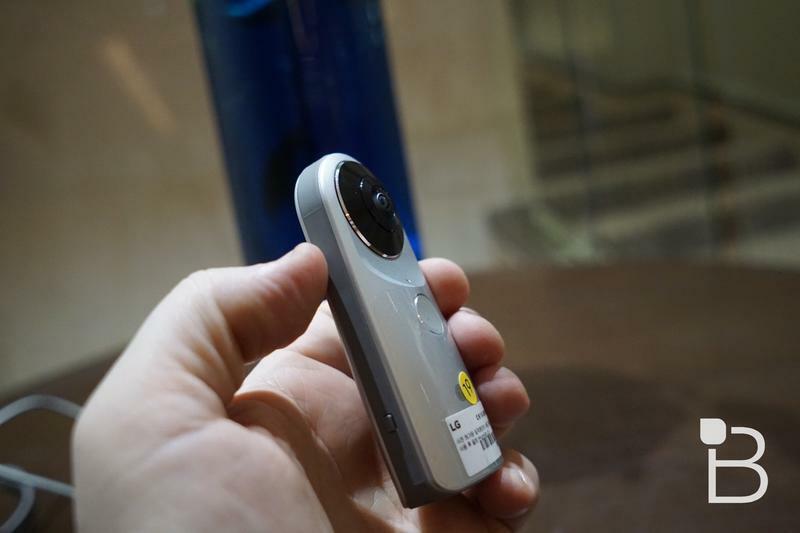 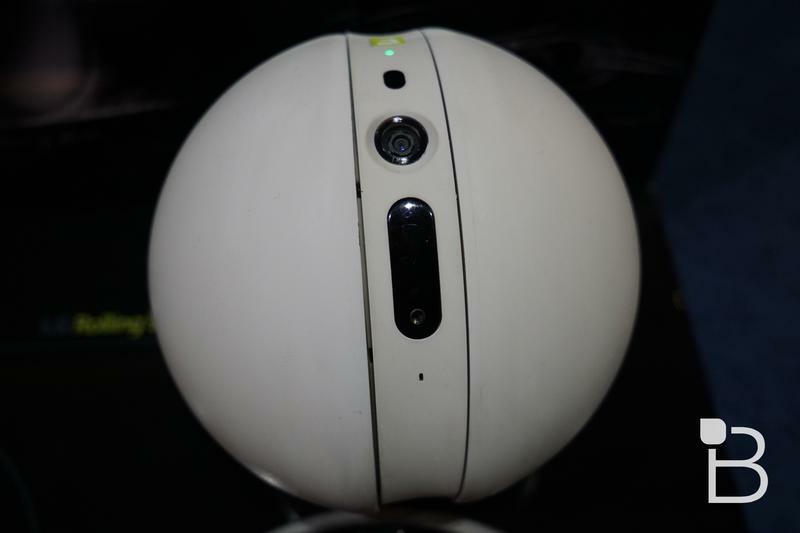 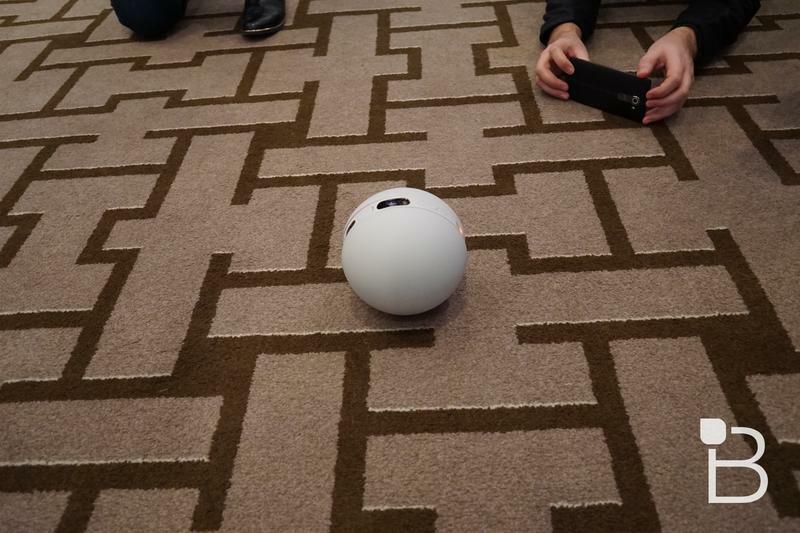 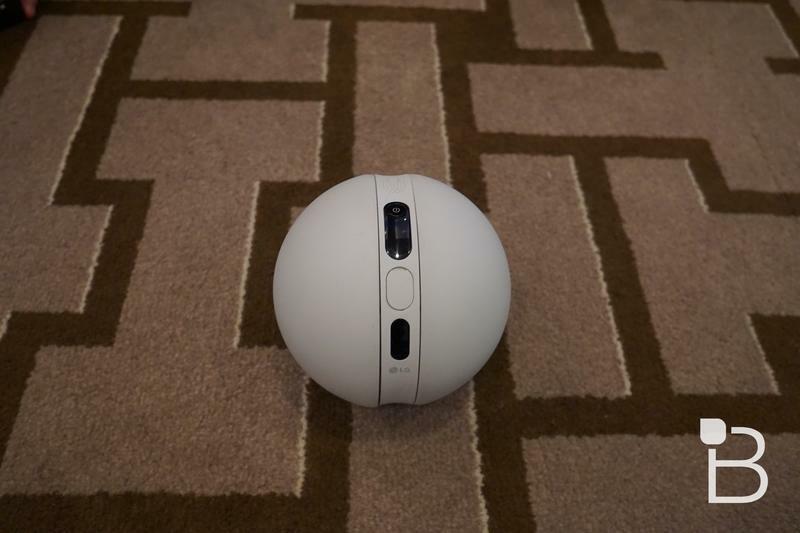 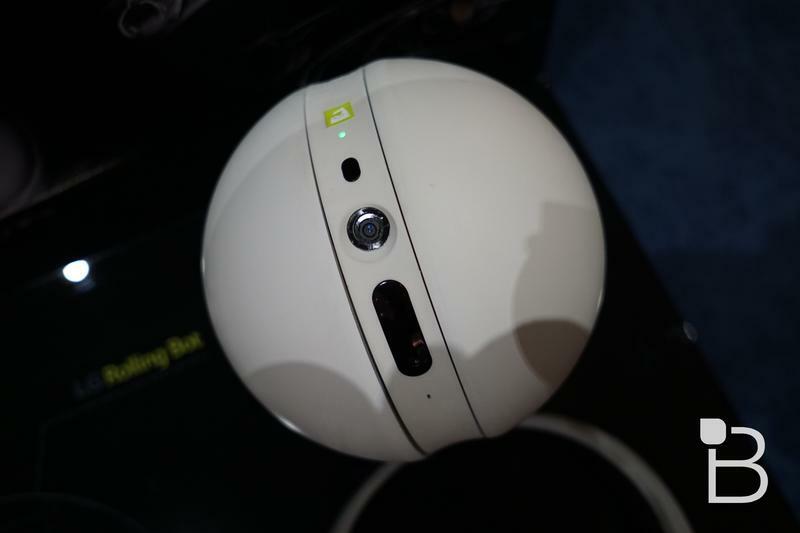 The LG 360 camera is LG’s new portable 360 camera. 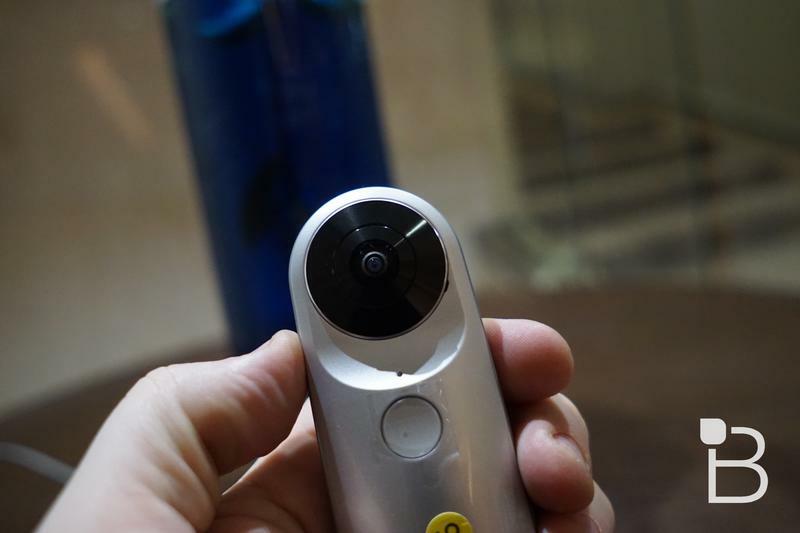 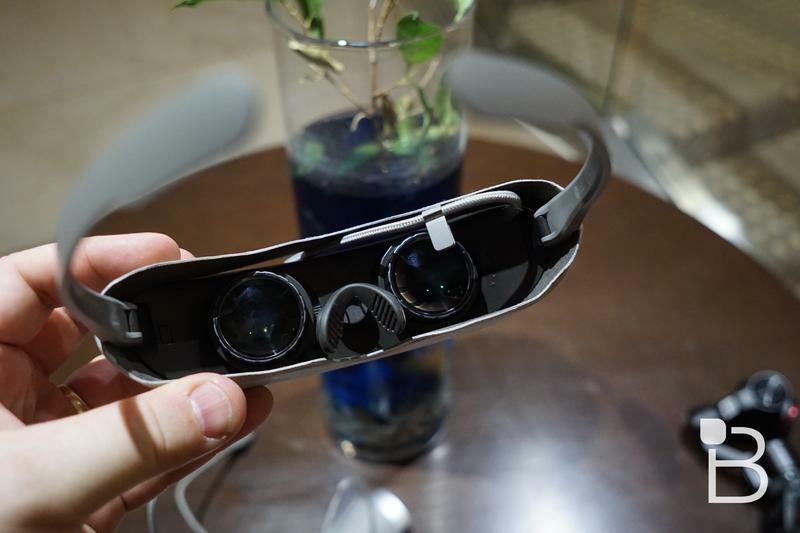 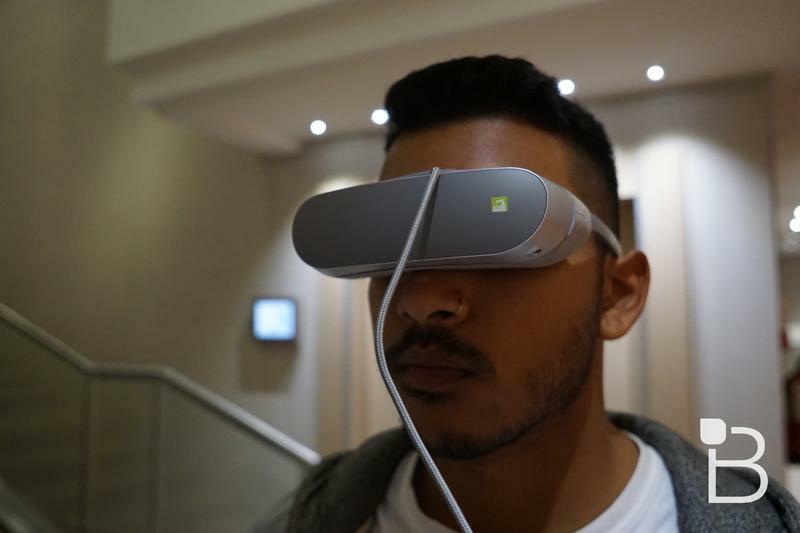 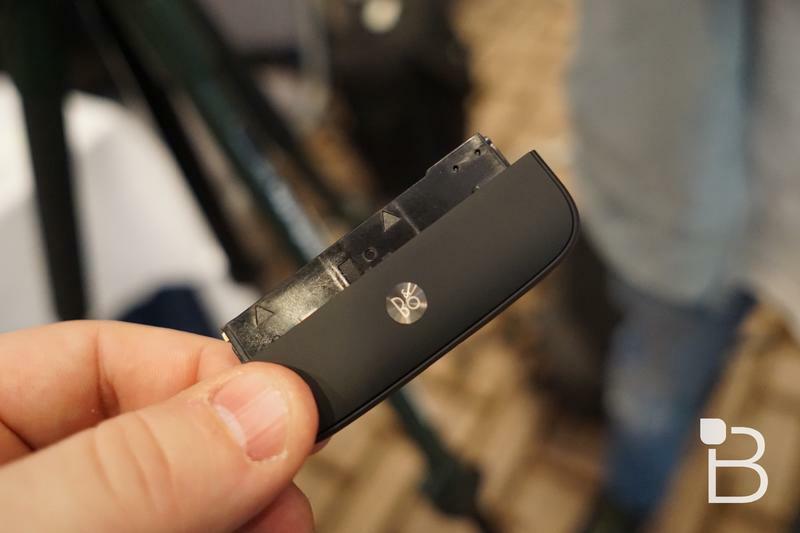 It’ll allow you to quickly create new 360-degree content for the LG 360-VR and other VR headsets. 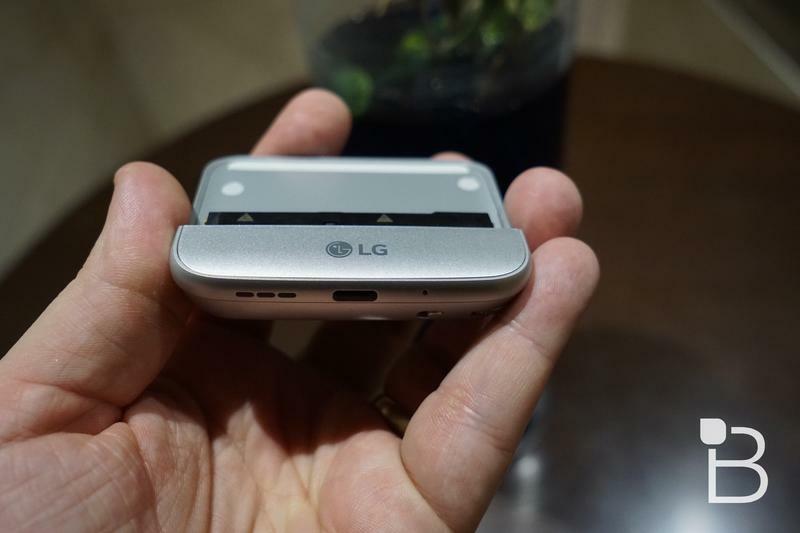 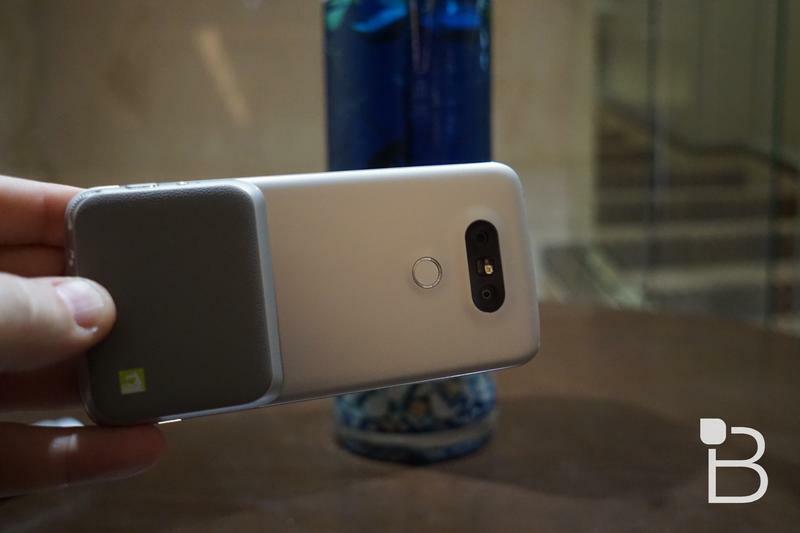 It sports a compact form factor, dual wide-angle 13MP cameras —LG says this adds up to a total 16MP image using some sort of stitching algorithm — 2K video support, the ability to shoot files for YouTube 360 and Street View, a microSD card slot, Wi-Fi for direct connections to your smartphone, 3 microphones and more.